Dell Poweredge R610 8 Core server. Tested and working, item has been pulled from a working environment as part of an IT infrastructure upgrade. Please see brief specs below: 2x Intel Xeon L5506 2.13Ghz Quad Core Processors 32GB RAM Perc 6/I Controller DVDRW Any questions, please feel free to get in touch. Myagen PCs has been involved in the IT industry for over 10yrs and are now branching out to online sales.our sister company has been selling on ebay since 2013 with 800 positive feedback at 100%..Buy with confidence via PayPal . Any questions or queries do not hesitate to get in touch. Dual E5620 Quad/Four Core Xeon 2.40 GHz CPU's. Dell Poweredge T610 Tower Server. 4 x 146GB DELL 3.5" SAS Drives. 4 x Empty Hot Swap Drive Bays. B Grade Case - it will have scratches and dents as per the photos. Dual X5660 Hex/Six Core Xeon 2.80 GHz CPU's. Dell Poweredge T610 Tower Server. 2 x 450GB DELL 3.5" SAS Drives. 6 x Empty Hot Swap Drive Bays. B Grade Case - it will have scratches and dents as per the photos. Dual X5660 Hex/Six Core Xeon 2.80 GHz CPU's. Dell Poweredge T610 Tower Server. 8 x 450GB DELL 3.5" SAS Drives. 0 x Empty Hot Swap Drive Bays. B Grade Case - it will have scratches and dents as per the photos. Processor -2 x AMD Opteron 4274HE Eight-Core 2.5GHz CPU. 1 xDell PowerEdge R415 1U Rack Server. Hard Drives - 1 x 300GB 3.5" 15K SAS 6Gbp/s Hard Drive HDD (4x 3.5" Hard Drive Bays). Optical Drive -None. Dell PowerEdge R820. We are able to source hard to find parts for Legacy systems through to the latest new in box parts for the latest generations of servers & storage systems. These are tested prior to dispatch using Dell Diagnostics. DELL PowerEdge R710 Rack Server. PERC H800 8 Port 6G External Raid Card Adapter £124.50. Rack Rails: INCLUDED. Server Options / upgrades . Rack Rails £48.50. 146GB 2.5" 10K Hotplug SAS Drive £14.50. DELL POWEREDGE R820 2U SERVER. FOUR 8 CORE E5-4620 v2 @ 2.60GHz & 192GB RAM. 192GB PC3L-10600R (24 x 8GB DIMMs ). Also Isle of Wight and Isle of Man and any other off-shore locations. NO RAILS PROVIDED . Model PowerEdge 1950 EMU01. Installed Processor Xeon 3.00GHz (2 processors). Supported RAM Speed 667 MHz. H710p 512mb cache BBU. 8 450gb sas10k generic HGST drive. Xeon E5-2430 cpu. 32GB ram 8gb 4. rail kit included. hex core 12 threads. We will resolve the problem directly with you. H710 RAID Levels: 0, 1, 5, 10, 50, 60. Dell PowerEdge R720xd 2U Rack Server. 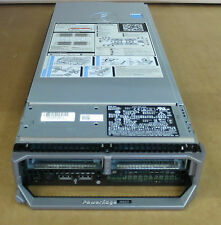 x24 way Backplane for up to 24 x 2.5" SAS, SATA or SSD Hot-Swap Drives. 32GB (4x8GB) DDR3 RAM. Dell Servers HP Servers Hard Drives Powervault Arrays Equallogic Storage Networking Tape Drives. 1x Dell 2U PowerEdge R620. PERC H310 onboard. FRONT BEZEL. 2X XEON 6 CORES E5-2630L 2.0GHZ (V1) 12 core across 2 CPU'S. 10 Bay system with 8 blanking and no drives or trays. All component fully bench tested over 24 hrs. Dell PowerEdge R320 Rack Server. Dell Refurbished. Dell 2 Button USB Optical Mouse & USB Keyboard. 4 x 8 GB RDIMM, 1600MT/s, Low Volt, Single Rank. 16X DVD /-RW ROM Drive SATA. Optical Drives. Model No: PowerEdge R320. 2 x 500GB 3.5" SATA 3Gb/s 7.2K HDD - 1KWKJ. 32GB DDR3 Ram (4x 8GB). Includes Rails. Includes Sliding Rails. Microsoft Windows Server 2008 x64 R2 SP1 Standard Edition COA Attached. Dell PowerEdge M610 blade six -Core 2.8Ghz X5660 32gb RAM. Dell PowerEdge M610 blade Hexa-Core 2.8Ghz. My other M610's. 32gb Ram 8x 4gb. However we may use our discretion also to provide the safest and best service. Model PowerEdge R620. Product Line PowerEdge. Ram Amount 32GB. System has been fully tested. Battery backup needs to be replaced. A Brocade 8GB Fibre single port host adapter is installed. Front bezel key is missing. Hyper-threading ,Turbo Boost ,AES-NI, Smart Cache. Optical Drive - DVD Fitted. Dell T7910 Wokstation Including Dell T7910 Workstation Chassis. NVIDIA Quadro P4000 8GB Graphics Card. 32GB DDR4 RAM. Dell PowerEdge is a trademark of Dell Inc. HP is a trademark of HP Inc. PowerEdge is a trademark of Dell Inc.
Model Dell PowerEdge R510 Server. Product Line PowerEdge. Ram Amount 32GB. Disk Space No HDD. System has been fully tested. Battery backup condition is unknown. Front bezel key is missing. Hard drive caddies are not included. Model: Dell PowerEdge R730, DDR4 Dell Server, 16-Cores. RAM: 32GB DDR4 RAM. RAID: Dell PERC H730 1GB Mini Mono Installed. Expansion: 2 PCIe Riser (3) - PCIe Riser 2 - 1 X16 (CPU2 Only), 1 x X8 (CPU1) - PCIe Riser 3 - 1 x X16 (CPU1). DELL PowerEdge R410 Rack Server. Storage: Takes up to 4 x 3.5" LFF SATA /SAS / SSD Drives(4 X caddies included). Backplane: 1x 4 Bay 3.5” LFF SATA /SAS /SSD. Processors : XEON E5645 / E5649 / X5650 / X5660 / X5670 / X5675 / X5680 / X5690 POA. Dell PowerEdge T320 Tower Server. Model: T320. 4 x 1TB SAS 7.2K 3.5" 6Gbp/s Hard Drive HDD - 740YX. 2 x 146GB SAS 15K 2.5" 6Gbp/s Hard Drive HDD In 3.5" Caddy - 61XPF. Bezel & Key - Included. Optical Drive - DVD ROM. For sale is a Dell PowerEdge R430 1U Server. These servers have been diagnostic tested and are in perfect working condition. 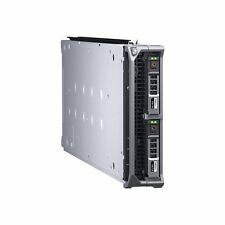 Dell PowerEdge R430 4x LFF 3.5" 1U Non-Hot Swap Chassis. 2x Dell Enterprise 1TB 6G SATA Hard Drives. Dell PowerEdge R620 1U RACK Server. 32GB (4x8GB) DDR3 RAM. No Optical Drive Installed. iDRAC7 Enterprise. 1 x Half Height PCIe Slot (x8 Bandwith). Isle of Wight. 1x Dell 2U PowerEdge R720 XD. 2X XEON 8 CORES E5-2660 8 CORES EACH CPU'S. No drives 26 bays Plenty of blanks. Channel Islands. Isle of Man. UK, longer for all other areas! Right of cancellation does not apply to audio or video recordings or computer software if they have been unsealed.